Hey guys, this is Tony and I am here to talk to you about some of my favorite comics that I own. When Crummy Gummy & Dr. Loomis reached out to me to contribute to the THAAWG blog, I jumped at the chance to share some of the various occurrences that led me to own some of these books. In the 9 or so years that I have known these guys, we have attended Cons together, attended many movies, and shared many libations as we critiqued and debate over some of life’s biggest questions – Why can’t Michael Bay let someone else direct Transformers?! So when these guys began the Two Hispanics and a White Guy podcast, I immediately became one of their biggest fans. Since getting back into collecting back in 2014, my collection is modest at best. I have 3 short boxes worth of comics. Since I knew I had to limit myself due to funding, I focused on first appearances, number 1s, variant covers, and just random covers that caught my eye. My top 5 was random and did not drift towards any trend of value or publisher. If that were the case, I would have included my New Mutants #98 – for those not in the know, that’s the first appearance of Deadpool. I’ve rambled on enough, onto the top 5! 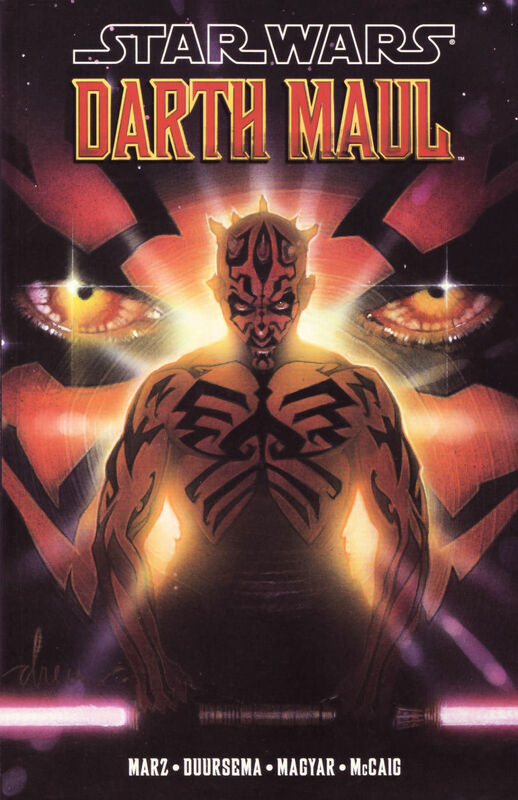 If there was one thing that was universally applauded from George Lucas’ original prequel, it was none other than the dark warrior known as Darth Maul. I was a huge fan right from the moment those sliding doors opened and there stood a mysterious person shrouded in a black hood awaiting the Jedi. Obi-Wan Kenobi made short work of Darth Maul at the time, but I had to learn more about this character. That is when I discovered Star Wars: Darth Maul at the now defunct Walden books and I found myself a spot on the floor and read through the entire book. This book tells the story of one of Darth Maul’s first mission to help ensure the Trade Federation’s blockade of planet Naboo goes as planned. Darth Sidious saw that a crime organization, known as Black Sun, could thwart those plans, so Darth Maul was dispatched. In this story, some of the deadliest characters in the Outer Rim learned first-hand that fear is a precursor to death. This book needs no introduction. This book needs no summary. It’s Frank Miller’s The Dark Knight Returns and his story telling that involves real world social issues, along with a vacillate between what’s morally justice to true vigilantism set the tone for what many of today’s stories emulate. This may be a bit of a hyperbole of me to say, but I juxtapose owning Frank Miller’s The Dark Knight Returns book 1 to that of a Van Gough. Anyone who is a collector, should own this book. First print would be nice, but even if it’s second or third print go out and get it and add it to your collection. Venom is arguably one of my favorite comic book characters. So when you combine Venom and Todd McFarlane’s style of drawing of Spider-Man, you end up with Venom’s first cover appearance in The Amazing Spider-Man issue 316. I was fortunate enough to purchase this book at the Tampa Comic-Con after my wife talked the seller down to $12. SOLD! I will admit that prior to my comic book collecting renaissance I never heard of Moon Knight. I was first introduced to the character by a store employee at Coliseum of Comics at Millenia in Orlando, Fl and was encouraged to purchase Moon Knight #1. From then on, I researched the character to learn more about mercenary turned Knonshu powered hero. I knew I wanted his first appearance but I am not ready to produce the funds to obtain it. So I did the next best thing, and purchased Werewolf by Night #33 at the Orlando Toy and Comic-Con. 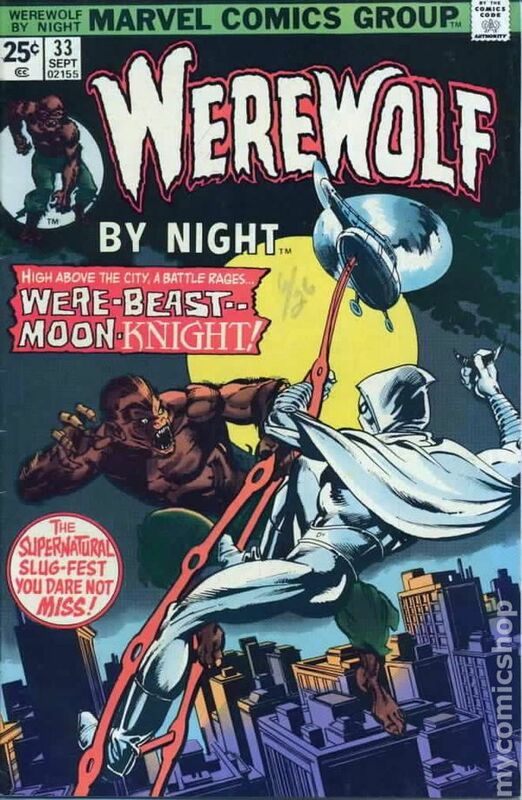 Maybe I can purchase Werewolf by Night #32 with bitcoin. If there is any DC character that deserves a stand alone movie, it is the anti-hero Slade Wilson aka Deathstroke – but my diatribe on this topic will have to be for another time. I was scouring threads on the Collectors Society site and read that someone was selling a DC mystery box and I decided to go for it. 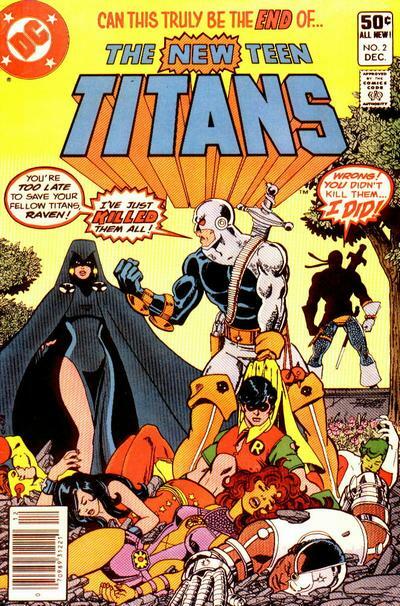 To my surprise I was bestowed with Deathstroke’s first appearance in The New Teen Titans #2. I believe it would grade out to be in the 7s, so I may want to upgrade for a 9.0 or higher down the road. If you break it down, Deathstroke is an amalgamation of some of our favorite characters: Captain America, Wolverine, and Deadpool. So those are just a few of the comics that are near and dear to my heart. For some, it’s about the value, to others it’s about the characters. For me, it’s about the journey in obtaining the books. I am glad you took the time out to read my blog and look forward to sharing more anecdotes of all things fanboy related. You guys can catch me as a guest on episode 19: Netflix The Punisher vs. Justice League or find me on Instagram, toeknee217.